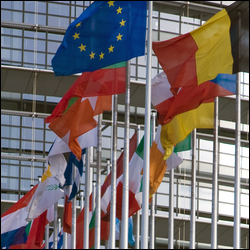 A Time for Greater European Fiscal Integration? Today sees another EU summit get underway and, this time, it's nice to feel that there isn't a real sense of panic in the run up to the event. Of course, we'll see the usual back slapping and chin wagging, and nothing useful is likely to be announced by the end of Friday. However, just this once, the discussions will not be focused on how to prevent a member state of the Eurozone from exiting; rather how greater fiscal integration can be achieved. This is all thanks to the ECB following their OMT plans which, for now, are keeping a lid on the borrowing costs of the danger countries like Spain and Italy. But the fact that it was the ECB who rode in to save the day won't stop the politicians from claiming a temporary victory over the next couple of days. The overall good news is that sentiment towards the Eurozone has most definitely taken a turn for the better. Talks between the troika and Greece seem to have progressed far better than in the past, and there have even been some upgrades to export and growth expectations for much of the Eurozone. Nevertheless, the continued expectation that Spain will soon request a formal bailout is what's really fuelling the risk appetite we've seen in the past few days. As a result, many will be listening out to hear if that likelihood increases, but, realistically, there's little chance of a bailout request coming in the next couple of days. The Spanish PM is going into the weekend with some important regional elections to fight for. Even though the polls are already looking ugly, the results could be far worse if he requests any sort of additional financial assistance ahead of those votes. So, for the moment, all seems quiet on the European front. We will have to see how things develop over the next couple of days and whether any progress can be made towards a banking or fiscal union.